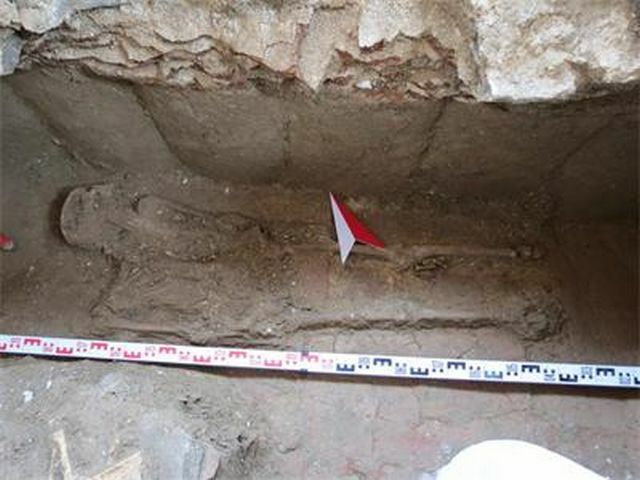 The two human skeletons discovered recently in an Early Christian tomb on the St. Ivan (St. John) Island in the Black Sea off the coast of Bulgarian resort Sozopol most probably belonged to Syrian monks who brought with them the relics of St. John the Baptist found on the same island in 2010. The two human skeletons and a ram skeleton were discovered in August 2015 by Bulgarian archaeologist Prof. Kazimir Popkonstantinov inside the Early Christian tomb on the St. Ivan Island off the coast of the town of Sozopol (the same island where relics of St. John the Baptist were found in the summer of 2010) which was found and opened in mid July 2015. Popkonstantinov has revealed his latest conclusions about the 2015 summer discoveries that he has made amidst the ruins of the Early Christian monastery “St. John the Baptist" on the St. Ivan Island now that the summer excavations have been completed, and the skeletons have been examined by anthropologists, reports the Bulgarian daily 24 Chasa. The archaeologist has been excavating the Early Christian monastery for several years now; he made global headlines back in 2010 with the discovery of relics of St. John the Baptist; the fact that the relics belonged to a Middle Eastern man who lived in the 1st century AD has been confirmed by the analysis of scholars from Oxford University. Upon the discovery of the reliquary containing the relics of St. John the Baptist back in 2010, Popkonstantinov and his team found next to it a matchbox-sized box made of sandstone (the type of sandstone found in Middle Eastern countries such as Syria and Palestine); on it, there were an inscription in Ancient Greek, reading “God, save your servant Thomas (Toma). To St. John. June 24." The date is the Christian feast day of St. John the Baptist, believed to be his birthday. Popkonstantinov now says he has reasons to believe the two men whose skeletons he found buried in the Early Christian tomb from in the 4th-5th century AD that he discovered in July-August 2015 most probably belonged to Early Christian monks from Syria. The archaeologist also thinks one of the two men might be the “Thomas (Toma)", the man from the above-mentioned sandstone box inscription who brought the relics of St. John the Baptist to the small Black Sea island off the coast of Bulgaria’s Sozopol giving the start of the Early Christian monastery named after the saint. 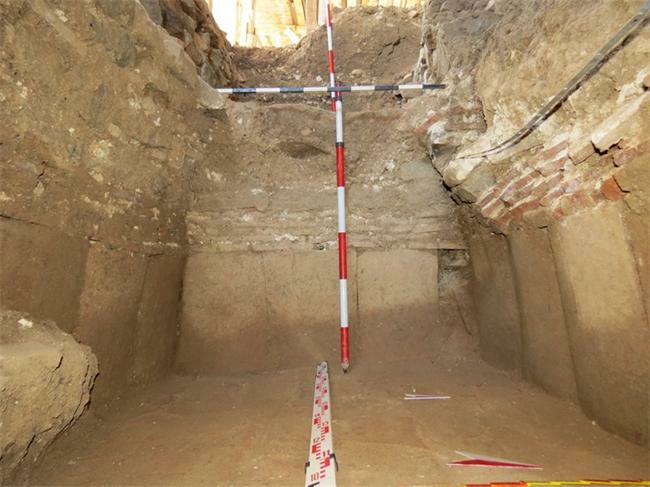 The tomb in question was found at a depth of 3.5 meters during excavations north of the altar of the monastery basilica which dates to the end of the 4th and the beginning of the 5th century AD. At the time, Sozopol and the St. Ivan Island were territory of the Eastern Roman Empire known today as Byzantium. In front of the tomb, the archaeologists discovered part of a sanctuary lamp, which is taken as evidence that it was the burial place of a senior clergyman. Popkonstantinov notes that the basilica whose ruins he has been studying appears to be very similar to the Early Christian churches in Syria known as “Syrian-type basilicas". “This discovery [i.e. the tomb] has no parallels in Bulgaria but also in Palestine and in Syria where one would expect to find such because the first basilica of the monastery has very close resemblance to churches in Syria known as the Syrian-type basilica. It is a little known fact that lots of Syrian population settled in today’s Bulgarian territories, especially on the West Coast of the Black Sea, in the 5th-6th century AD," the lead archaeologist is quoting as saying. “The patriarchal monastery “St. John the Baptist" on the St. Ivan (St. John) Island is the largest and most ancient island monastery from the 5th century in the entire Black Sea. The archaeological excavations in 2015 have helped us clarify its early history," Popkonstantinov adds. Together with his colleagues, Assoc. Prof. Rosina Kostova and Milen Nikolov, the Director of the Regional Museum of History in Bulgaria’s Black Sea city of Burgas, he has established that the newly found Early Christian tomb, which is 2.8 meters long and 1.8 meters wide, was built at the same time with the basilica. The tomb of the two alleged Syrian monks, of which one may have brought the St. John the Baptist’s relics, while both men may have co-founded the monastery on the St. Ivan Island, is adjoined to the northern wall of the altar section of the basilica. “After completing the excavations we have found that the way [the tomb] was built differs from all other known tombs in Bulgaria from this time period. Its foundation is tiled with 18 tiles of equal size covering all four walls. Above the tiles comes the arched structure of the roof. The floor is tiled with the same kind of tiles," Popkonstantinov explains. The two skeletons, both of whom we about 1.60 cm (app. 5 feet 2.5 inches), were found on the floor of the tomb, lying about 40 cm (1.3 feet) from one another. Next to them the archaeologists have found 40 iron nails which apparently held together the respective wooden coffins. The anthropological analysis of the bones performed by Assist. Prof. Viktoriya Ruseva has revealed that the skeleton found in the northern section of the Early Christian tomb belonged to a man aged between 50 and 60, and the skeleton found in the southern section was 45-50 years old. The joints of both men show alterations caused by arthrosis. The ram skeleton was found 25 cm above the younger man’s skeleton; it is especially interesting because the sheep bones are absolutely intact in terms of their anatomical positions. The Bulgarian archaeologists who have studied the tomb believe that both it and the first basilica on the St. Ivan Island off the coast of Sozopol were built at the same time, and that both were destroyed simultaneously by a powerful earthquake. As were the rest of the monastery buildings. The natural disaster that affected the Early Christian monastery supposedly led the monks to serve a prayer for mercy. “The sheep was placed in the tomb as a votive offering, and on top of one of the buried men. According to the Syrian and Palestinian tradition, a tomb for the founders of the monastery is built next to the altar section of the basilica. The monastic brotherhood deemed the two founders of the monastery saintly men, pleaders before God," Popkonstantinov elaborates. Bone material from the skeletons of the two alleged Early Christian Syrian monks will be sent to the laboratories at Oxford University in the UK and the University of Copenhagen in Denmark which also examined the relics of St. John the Baptist found near Bulgaria’s Sozopol in 2010. The results are expected to provide information about the age of the two men, when they were buried, what diseases they had, etc. Bone material from the ram will be sent to a laboratory in Mannheim, Germany, in order to find out when the animal was buried. This information is expected to reveal in what year the earthquake occurred that shattered the tomb and the first basilica built at the monastery on the St. Ivan Island in the Black Sea. “We are now firmly convinced that the first monastery was not destroyed by an invasion but by this natural disaster. We and our colleagues from abroad are very impressed with the discovery. No tomb of monastery founders, one of whom probably was the Thomas (Toma), has ever been found during excavations," Popkonstantinov says. “This is the only monastery dedicated to St. John the Baptist where a reliquary with the relics of the saint has been found during archaeological excavations together with an inscription on a sandstone box in which they were transported. This is the first case in world Biblical and Christian archaeology in which relics of St. John the Baptist have been found in an archaeological environment. This is the first time that we have learned the name of the bearer of the relics – Thomas (Toma) – who is most probably one of the founders of the monastery, and was buried in this tomb together with the other founder," elaborates the archaeologist. Popkonstantinov points out that several hundred tourists and pilgrims from abroad, including Muslims who also worship St. John the Baptist, visit the ruins of monastery on the St. Ivan Island off the coast of Sozopol every day. Despite this interest, the funding of the Bulgarian government for the archaeological excavations of the St. John the Baptist Monastery is meager – about BGN 15,000 (app. EUR 7,300) per year. However, the excavations are supported by the St. John the Baptist Foundation which provides money for the digs and the conservation of the archaeological structures every year.